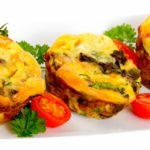 It’s snack attack on the common misconception that healthy and tasty can’t go hand-in-hand! 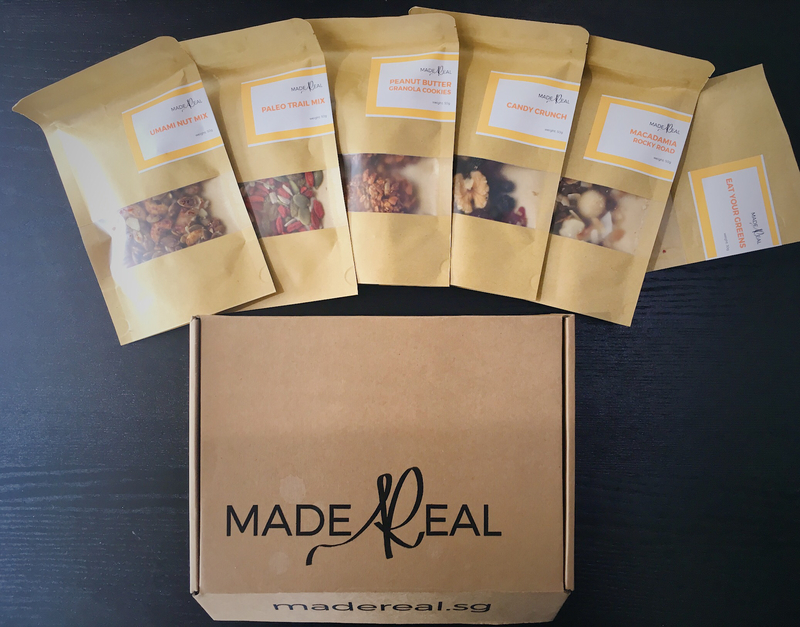 Made Real is a healthy snack box subscription that delivers nutritious snacks straight to your door for busy people who don’t have time to scout around for healthy bites. They also have an awesome blog covering many topics about healthy lifestyle. Their name’s origin is quite inspirational: they wanted to provide real solutions to help tackle the problem of body image dissatisfaction so prevalent in our younger generations, both in eating disorders and overweight. Our box came delivered to the office, with a personalised message and a summary of the 6 packets of goodies. The snacks included the Macadamia Rocky Road, Candy Crunch, Umami Nut Mix, Eat Your Greens, Paleo Trail Mix, and Peanut Butter Granola Cookies. All of the snacks were delicious! But our office crowds’ faves were the Macadamia Rocky Road, Umami Nut Mix, and Eat Your Greens. It’s reassuring to know that all the dried fruits have no added sugar, so all the sweetness is from their great quality of the fruits they select. Tasted really nice! Almost like chocolate “nerds”! sweet and chocolatey. The macadamias were nicely roasted with a fresh aroma and fresh bite, while the coconut flakes provided a lovely crunchy and creamy delight. It did taste a bit like rocky road (sans unhealthy sugary marshmallows!). 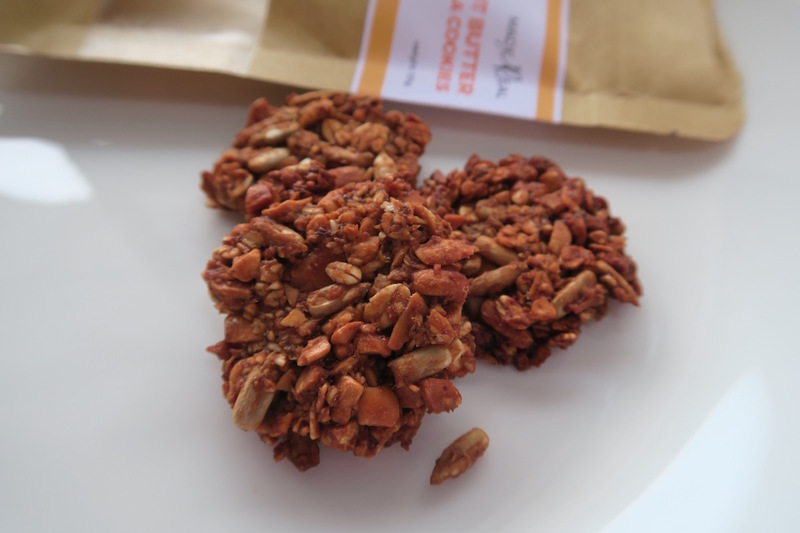 Just a handful of this snack provides you with 10% of your recommended fibre intake! This pack certainly could live up to the popularity of Candy Crush if people knew about it! Unfortunately it’s no longer on the website. 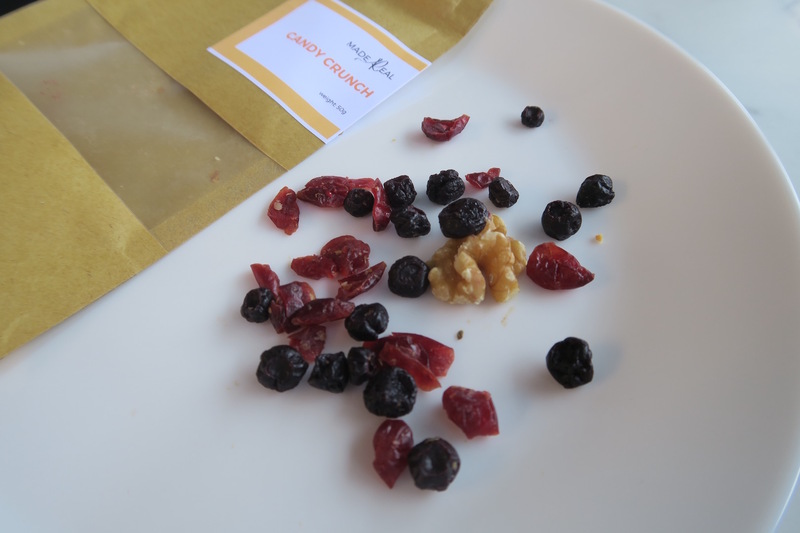 But the mix of dried blueberries and cranberries, and baked walnuts, provided a refreshing change to the usual boring trail mix. The dried berries were surprisingly sweet and not as tart as I expected, and retained a fresh mouthfeel. None of that yucky mushy and overly sticky stuff you get with some dried fruits! I love that the berries are naturally sweet and have no sugar added. The baked walnuts were also delicious! I am not particularly fond of walnuts because most walnuts have and acrid aftertaste and bitter and leathery feeling on the tongue. But Made Real’s walnuts tasted really fresh and didn’t have any of that. It was just the sweet, mild flavour of walnuts! I am super impressed. Perhaps the air-tight seal and packaging for just 2 serves really made a difference to retain the freshness. For each 25g serving (1/2 pack) it provides 123 calories, 2g fibre, 8g fat, 2g protein, 11g carbs, and 0mg sodium. Pretty good overall! 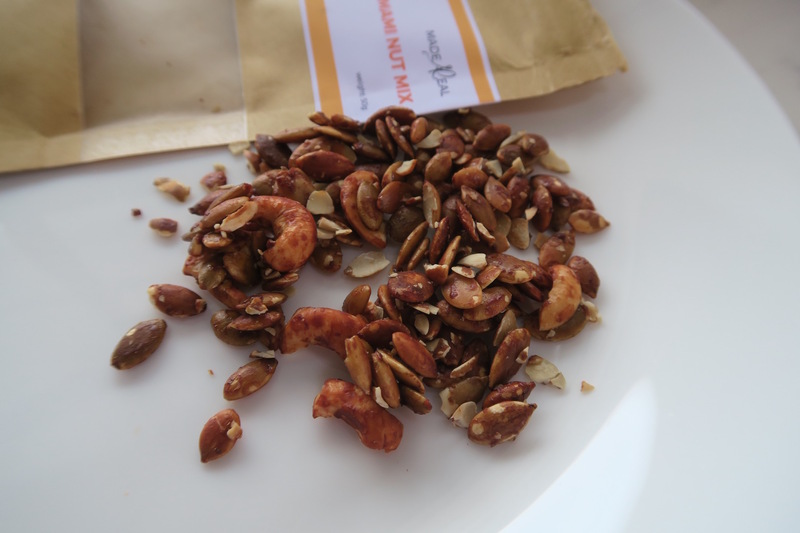 For those who like salted caramel (combo of sweet and savoury), they’ll love this cashew and pumpkin seed pack. 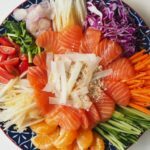 It’s doused in just the right amount of shoyu (soy) sauce and agave nectar to give it a hint of sweet and salty without being too cloying. They must have toasted the nuts somehow to bring out a lovely roasty aroma, nostalgic of the delicious smell you get from a freshly baked walnut carrot cake! Some of the nuts/seeds were slightly broken which added to its rustic texture. The freshness of the nuts and seeds shone through with a natural sweetness and earthy flavour and a lovely crunch. The two nuts’ natural yumminess (partially helped by both their high good fat content!) worked really well in harmony to really live up to its name of an ultimate umami flavour burst. Nutritionally speaking, half a pack (25g) gives 124 calories, 12g carbs, 5g protein, 7g fat, 3g fibre, 42mg sodium. Overall not bad, considering there’s some sugar (agave nectar) and sodium (shoyu sauce) added! It’s good they were light-handed with the seasoning to keep it relatively healthy. Because it’s flavoured, it tastes a bit more ‘addictive’ than unflavoured nuts/seeds, so have in moderation! The other options without any added sugars/salt is even healthier for everyday eating! The ingredients, in order of concentration: Pumpkin seed, Cashew, Coconut Palm Sugar, Shoyu, Agave Nectar, Coconut Oil. It contains 0.65g sugar per serve, which is quite little. Fantastic to know, and it tastes very moreish! Did you know that nut eaters take in 5g more fibre, 260mg more potassium, 157mg less sodium, and 73mg more calcium, than people who rarely eat nuts? Crunchy and satisfying, vegetable chips are a high fibre alternative to potato chips. 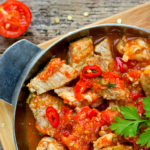 These keep you full for longer, but do remember to have them in moderation along with some high protein foods! Each 15g serving contains 10g carbs, 76 calories, 18mg sodium, and 1g fibre. The packet contains carrot, green radish, sweet potato, long beans, taro, and flavoured with a little fructose, vegetable oil, salt and pepper. The packs are a quick, easy and convenient snack to eat on the go and full of slow releasing carbs for sustained energy release..
Fresh goji berries are more bitter than sweet. 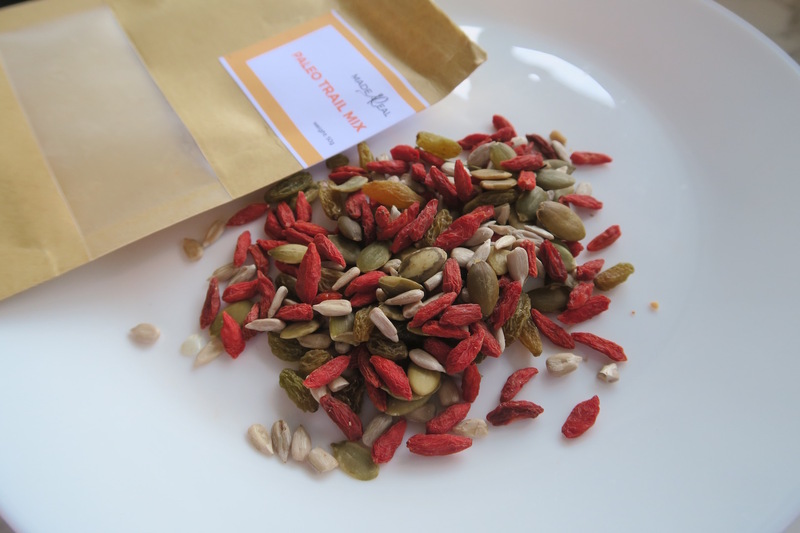 But dried goji berries are much more palatable, as it loses most of the bitter taste. It is similar to dried cranberries. I’m sure most Chinese people would have seen these red blobs floating around in their herbal soup (as a child, my brother was tricking me into believing they were rabbit poo, the way brothers do). Uncooked, goji berries have a nice chewy and dry bite. I don’t usually enjoy raisins, but they provided a nice sweet taste to balance off the rest of the less sweet ingredients. Made Real was also pretty generous with the more expensive ingredients and kept the raisins to a small proportion. It’s annoying when you put your hand through the muesli mix and your whole mouth is just stuffed with raisins! Each 25g serving (1/2 pack) gives a well-controlled 115 calories, 10g carbs, 5g protein, 7g fat, 2g fibre, and 22mg sodium. It is a pretty high protein snack! The cookies were on the hard side, but it’s just a testament to the fact that it’s packed densely full of wholesome ingredients instead of filled up with flour, fat or sugar (which usually makes processed cookies soft). These taste a bit more like a very firm muesli bar in a bite-sized cookie shape. Its sweetness level is subtle mainly sweetened by agave syrup, and accentuated by some banana. Its peanut taste came out quite strong and infused throughout the whole cookie and coated all the ingredients, rather than just chunks. I liked that it was multi-dimensional in taste – a reprieve from being purely peanut butter – provided by other types of flavours (almonds and sunflower seeds). Sunflower seeds have some really fascinating uses as this article highlights too! I love how it’s a mixture of wholegrains used too: the rolled oats, quinoa and millet all provided a much more fine-textured cookie than if it were just the chunky rolled oats alone that you typically get with oat cookies. Each ½ pack serving (25g) contains 99 calories, 8g carbs, 4g protein, 7g fat, 2g fibre, 45mg sodium. It’s probably not the healthiest snack pack available by Made Real, but considering it has a bit of added sugar and Himalayan rock salt, it’s very good they kept it light and kept the nutrient profile looking prim and proper. The ingredients, in order of concentration: Oats, Peanut, Banana, Sunflower Seed, Almond Slices, Coconut Palm Sugar, Agave nectar, Sea Salt. It contains 1.15g sugar per serve; quite a reasonable amount! The variety, the quality of the ingredients, and the novelty were all there. Pretty much everything I look for in a snack box. I am a bit of a snacking queen, so I love trying new snacks. But to practice what I preach, I am always on the lookout for healthier snacks. And I give a big thumbs up to Made Real for their innovative and delicious snacks! How does Made Real work? 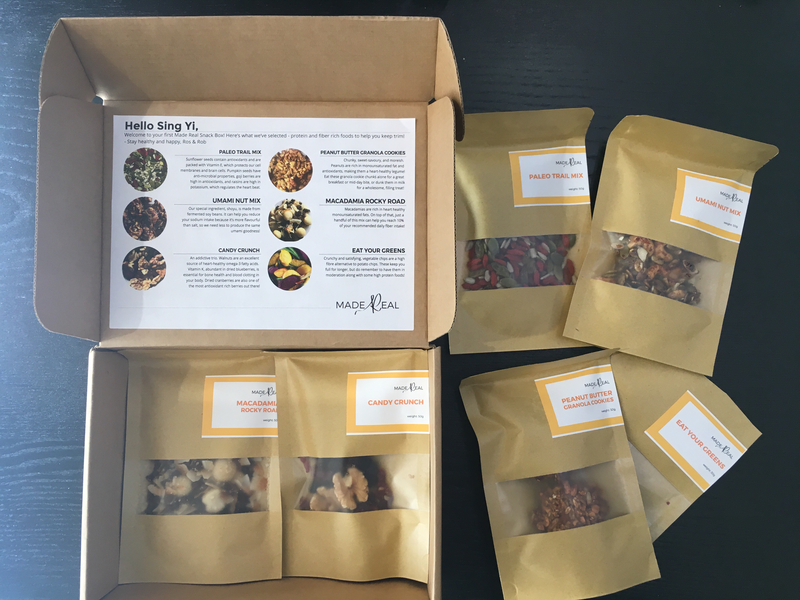 Each Made Real box contains 6 products, 2 serving sizes per pack, and can be customized. You may select a 4-week, 2-week, or weekly delivery for your subscription. It will be billed ahead of each delivery. You can also opt to select your favourite snacks in their online shop. The great thing about Made Real is they’re always coming up with new snack ideas so you’ll never get bored! Psst! Stay tuned for more exciting news such as promotions from different healthy food vendors such as Made Real! 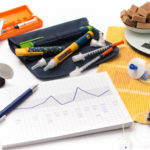 Previous Previous post: Diabetes Screening – What’s Your Risk?